The Reggio Emilia Approach, founded by Loris Malaguzzi in Reggio Emilia, Italy, is an educational philosophy based on the image of the child, and of human beings, as possessing strong potentials for development, entitled to the right to learn and grow in their relationships with others. Through daily observation and the practice of learning along with children, teachers formulate new ideas, hypotheses, and interpretations for teaching. This is important, as each student, teacher, parent, community and town are different. No two Reggio-inspired communities should look the same, as the needs and interests of the children within each community will be different. In response to the fall of Fascism and German retreat from Italy, the villagers of a small town, Villa Cella in the northern region of Italy, Reggio Romana, established that education was the means to a brighter future and a democratic society. Looking for an alternative to the “strait-laced, church-monopolized” establishments governing education, the women of this village collectively gathered building materials; bricks from bombed buildings, timber, and sand. They sold a German tank, nine horses, and two military trucks, to gain a tiny bit of capital, and through the collaboration of families, the first school was born. It still exists in the countryside, 20 miles from the city of Reggio Emilia. Hearing news of this parent-run school (called ‘nests’), Loris Malaguzzi a young teacher in his twenties, rode his bicycle to this town to have a look. He was so impressed by what he saw that he never left, he promised to learn alongside the children, teaching them everything he learned in the process – marking the start of the Reggio Emilia journey. With news of this new experiment, small parent-run schools began popping up in less advantaged wards around the city and by 1967 the municipality of Reggio Emilia took over their administration and financing. 1920: Loris Malaguzzi was born in Correggio, Italy. Remembering the six years of his childhood, Fascist Italy “gobbled up”, his father encouraged him to take teacher training courses. He started in 1939 and finished during the war. 1946: He enrolled in the “first postwar psychology course in Rome” where he took inspiration from such thinkers as Vygotsky, Piaget, Dewey, and Bruner. Throughout his life, he continued to research, study and apply theories and ideas from Erikson, Wallon, Montessori, Gardner, and countless other intellectuals that suited the needs of preschoolers. 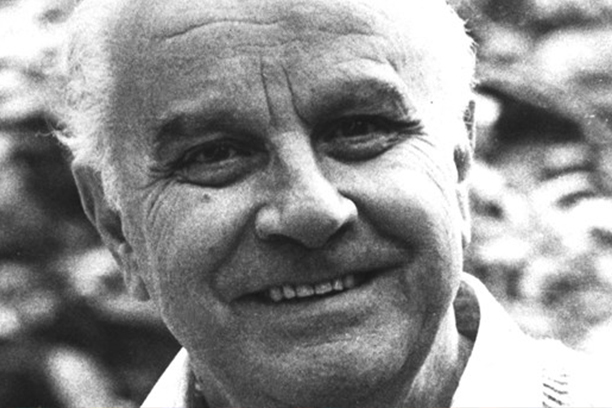 1950: He qualified as an educational psychologist and founded Reggio Emilia’s municipal Psycho-Pedagogical Medical Center where he worked for more than twenty years. 1963: He began collaborating with the city administration of Reggio Emilia to open the first municipal preschools; there were nineteen by 1979. 1994: After his unexpected death, Reggio Children is founded, promoting the vision and supporting infant-toddler programs and preschools in Emilia Reggio. 2002: The North American Reggio Emilia Alliance (NAREA) launched at the meeting of the National Association for the Education of Young Children (NAEYC) conference in New York City. Today his vision for preschoolers, families, and educators continues in global discussions and practices.